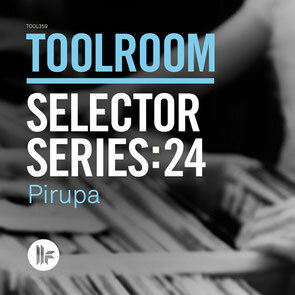 Returning to the label to deliver the 24th edition in the 'Selector Series' is the Italian tech house DJ and producer, Pirupa. After an impressive three years, Pirupa has accomplished much, with releases topping the Beatport charts, remixes for Tube & Berger, Pete Tong, Chus & Ceballos, Sinisa Tamamovic, NiCe7 and Riva Starr, as well as performing at many clubs and festivals across the globe. After carefully selecting his favourite tracks from the Toolroom back catalogue, Pirupa delivers an eclectic mix of new and old tracks featuring Mark Knight, Weiss, Pig & Dan, Pete Tong, Jay Lumen, Kevin Saunderson, Doorly, Harry Romero, Rene Amesz, Dave Spoon, Ruben Mandolini and many more. He also showcases a handful of his own releases on the label including 'Black Form', 'Sweat' and his remix of Tong & Rogers 'Shake The Dice'. Filled with some of the finest Toolroom jams, 'Toolroom Selector Series: 24 Pirupa' delivers an insight into this DJ's music and technique.